Yes, retention rates are dwindling, with 76% of millennials admitting last year that they intended to leave their employer. In the meantime, industry practitioners are casting suspicious sideways glances at the developments in artificial intelligence, threatening to replace them. But both these issues are only symptoms of a much bigger problem: marketers are just better at HR and recruitment right now. Marketing has always played a notable role in recruitment. 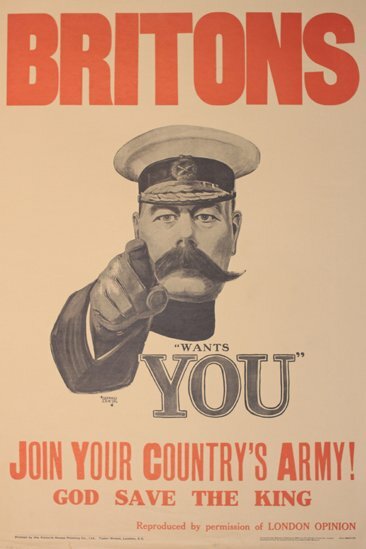 In fact, one of the most famous recruitment campaigns of all time was James Montgomery Flagg's "I Want You" WWI US Army recruitment poster (which was really just a knock-off of Britain’s recruitment poster, proving that being a fast follower can often be as effective as being a first mover), depicting Uncle Sam in his famous pointing pose way back in 1917. So, the question is, why is marketing only becoming a legitimate adversary to traditional recruitment now? The answer, as it is to so many questions at the moment, is digital. Marketing was the frontrunner in early digital adoption, and now everyone else is struggling to catch up, with traditional hiring approaches facing endless obstacles. Are your recruitment efforts hampered by high offline media costs when advertising for positions, limited data tracking ability, and ineffective character references? Fortunately for marketers, digital provides access to affordable online media, paid analytics, and social media that can offer character insights. But that’s not all. Digital also opens new doors to innovative ways to attract talent. As a result, more and more companies have been flocking to the likes of Tinder and Snapchat – both with significantly more users than your average job site – to swipe right on prospective employees and snap up the best of the best. And who are they looking to for help? Marketers, of course. Marketers have all the tools. They have all the know-how. And they have all the data. Unfortunately, jumping on the digital bandwagon now won’t be the boost recruiters need to regain their lead. They’re still taking it slow, courting their candidates while marketers are pros at speed dating their target market. I touched on this issue in the talk I gave at the Future of HR Summit last month, when I spoke about Crystal. Crystal knows that I’m someone who prioritises innovation, that I tend to lose track of time while working, and that I bounce between topics when I’m having a conversation, but we’ve never spoken. We’ve never even met, because Crystal is not a person. She’s an example of artificial intelligence. By using machine learning, she accurately determines likely personality traits from the data collected during a short questionnaire and an internet search of your activity. What’s more, it takes her just a couple of minutes to do it. There are many other digital tools crawling out of the woodwork to take over traditional HR functions. While recruiters can only handle one candidate at a time, HireVue records video interviews with candidates and then analyses elements like their word choice, tone, and facial movements to screen them faster and more effectively. Chatbots like Mya can also juggle multiple conversations, all the while deep-analysing every response. Then there’s Saberr, applying an algorithm to determine candidates’ ‘resonance score’ with the company they are applying for a position at. And we can’t forget about Hired, which gives more control to candidates in terms of how they are presented. Recruitment is just one pillar of HR’s strategy, but it’s not the only one vulnerable to a digital revolution. I spoke about this at the Future of HR Summit too – how data predictive modelling can be used beyond the hiring process, to do everything from gauging employee satisfaction and performance to retention, and even a proclivity towards criminal activity. After reading all this, it’s easy to come to the conclusion that HR is in danger of extinction, but thankfully, that’s not the case. Despite all these automation and deep learning tools, I don’t see a future where people feel comfortable taking their personal and confidential issues to an emotionless system for counsel, especially one with the potential to be hacked. And even if they did, none of these tools offer a holistic solution. At the end of the day, the machine needs a master; if not to control it, then at least to monitor it and tell it what to do as the goal posts change – something they will always be doing in a digital age. The challenge for recruitment and HR lies in how to respond to that awkward conversation, when their clients want to know why the person pulling the strings should be them and not a marketer instead. To do this, HR and recruitment personnel will need to use technology, not only to streamline their processes, but to do so in a way that is unique to their special set of skills. Britehouse is one such company managing to do this, offering clients like Ster-Kinekor a customised recruitment solution, developed and tweaked by people who know the process backwards and forwards. The beneficial contribution of AI and analytical technology in this sector is undeniable. It’s made getting the right man or woman for the job more than a hit-and-miss exercise and less draining on business owners’ bottom lines too. But the human element remains important in guiding where new technology can be applied best, and where it simply has no place. Where would you draw that line? Can HR and recruitment really take on marketers that have a considerable head start in the data and tech game? Is partnering with tech companies an option to counter balance this imbalance? Should HR work towards a seat at the strategic table? And who would you feel most comfortable putting your company’s HR and recruitment needs in the hands of? Information is a powerful thing. At TransUnion, we realise that. We are dedicated to finding innovative ways information can be used to help individuals make better and smarter decisions. We help uncover unique stories, trends and insights behind each data point, using historical information as well as alternative data sources. This allows a variety of markets and businesses to better manage risk and consumers to better manage their credit, personal information and identity. Today, TransUnion has a global presence in more than 30 countries and a leading presence in several international markets across North America, Africa, Latin America and Asia. Through the power of information, TransUnion is working working to build stronger economies and families and safer communities worldwide.